Got a pair of vintage speakers just lying around; not doing anything useful? Why not give them a buddy, in the form of an updated Denon N7 Streaming Receiver. 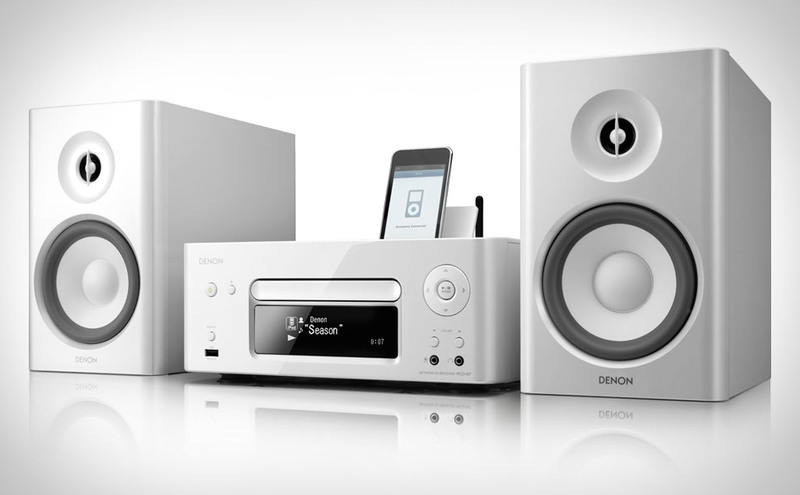 This Denon can stream from either Pandora, Napster, or Rhapsody, using its built-in ethernet and wi-fi. It is also capable of streaming from the digitals files stored on your computer. The receiver features a 65-watt amp, and is capable of playing AM, FM, and CD. With all this capability, its docking point for your iPhone or iPod may seem a little unnecessary–However, it will also give it a charge, so it isn’t all bad. If you don’t have any orphan speakers, don’t worry about it. Denon can hook you up with a pair of perfectly matched SC-N7’s.